Hours: Registration is available online or when classes are held. 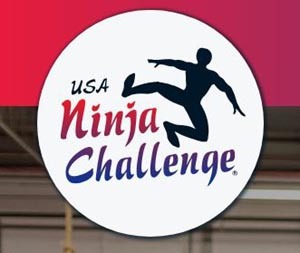 USA Ninja Challenge has developed an obstacle course skills program that incorporates basic skill sets from gymnastics, climbing, cross training and track and field. It is designed to fulfill the physical needs of today’s youth, ages 4 thru 17. As technology increases and children’s physical activity decreases, it is becoming more and more important to get kids involved in activities that influence physical well being. USA Ninja Challenge understands this need and has created a fun, challenging sport that children are excited about. Participation in the sport of ninja has seen rapid growth in recent years among young adults, but until now kids have had to wait until they are “old enough” to participate. USA Ninja Challenge is constantly developing obstacles and activities scaled to fit youth requirements. The sport of Ninja offers a fantastic physical fitness component as well as a boost to problem-solving. With its creative thinking aspect, Ninja also helps to sharpen children’s mental abilities. The mission of USA Ninja Challenge is to provide athletes with a fun, challenging program that focuses on overcoming obstacles, one at a time, to build confidence, self-esteem and increase athleticism. USA Ninja Challenge Marlborough offers classes, birthday parties, and camps. Visit our website or follow us on Facebook to learn more.